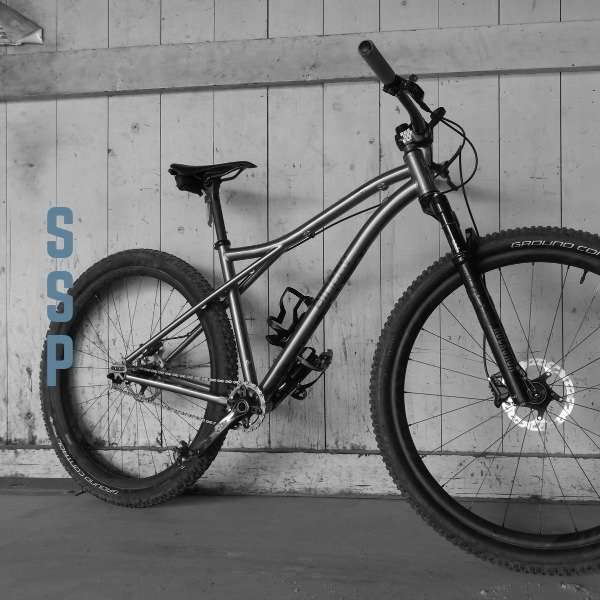 The beautifully sculpted SSP builds up light and its geometry is very singlespeed friendly. It can easily hold its own in a XC race – SS or geared. Sub-20lb weights would be easily achievable with a rigid fork and light components. Get ready to Sit, Stand, or Push! The SSP – Sit, Stand, Push – is our most singlespeed friendly design. It has a bit lower bottom bracket for a better posture when out of the saddle. The front end feels particularly planted with the 68-degree headtube and 100mm fork combo. The long seatstays add a smooth compliance to the ride without undue flex. Agility with Stability (TM) is the hallmark of the SSP. Find out more about the SSP.